A Great Walks Hut on the Routeburn Track. During the summer season, bookings are required, with a maximum two-night stay. The main building sleeps 24 in bunks and on a sleeping platform, and contains the kitchen (gas stoves) and living areas. A separate bunkhouse sleeps 24 on 6 4-person sleeping platforms. A DOC ranger is present over the summer season, and can provide weather information and other assistance. A campsite is nearby, which also must be booked. Lake Mackenzie and the Ailsa Range • By Matthew. 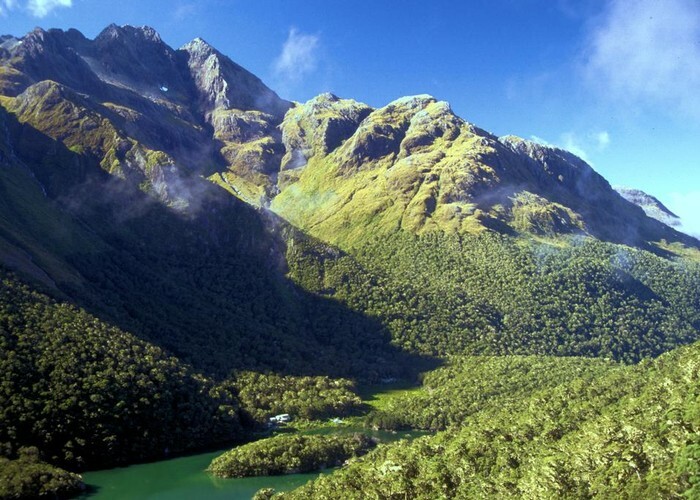 Licence: C.
Along the Routeburn Track: 4-5 hours from The Divide, or 7 hours from Routeburn Shelter. Added 25 September 2005 by MatthewMatthew. 4 revisions, most recently 20 November 2012 by MatthewMatthew. 520 views in the past year (43 per month).